This is a sequel to an earlier post: To bead, or not to bead. 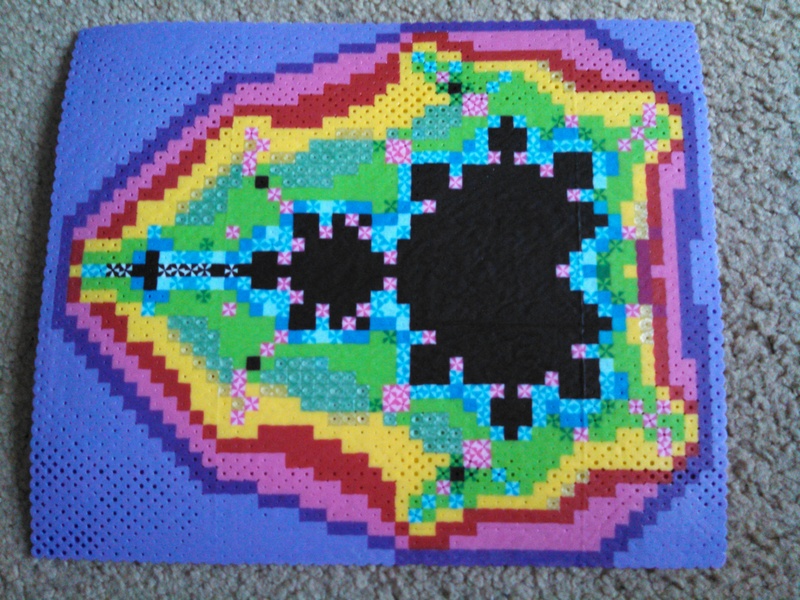 In that post my daughter Kayla and I did a fuse bead picture of the Fibonacci spiral, and we talked about how it can be used to give a geometric proof to the sum of the squares of the first n Fibonacci numbers is the product of the n-th and (n+1)-st Fibonacci numbers. 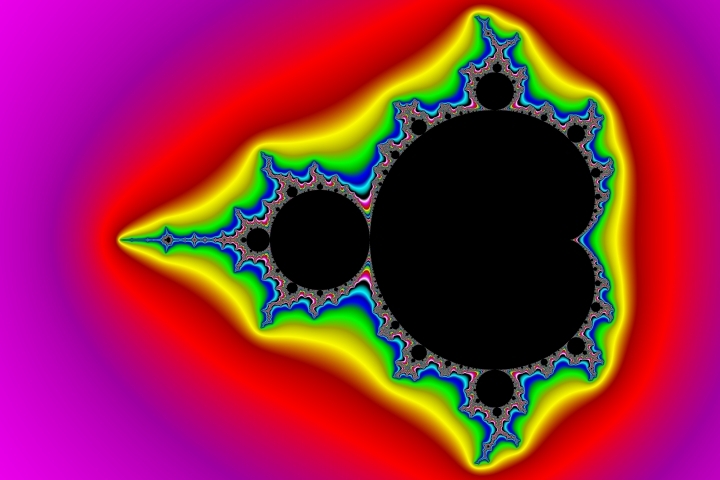 Hopefully you can recognize the Mandelbrot set, though it pains me that it wasn’t quite to scale. We were hanging out in Paresky selling girl scout cookies (email me at [email protected] if you want to buy some cookies, or if you and your friends would like some fuse beads for a project), and this took from roughly 3pm to a bit before 7pm (when fortunately majors Alyssa Epstein and Sarah Fleming helped fill the final color; if others helped on this and not Kayla’s elephant please let me know so I can add thanks). I quickly eyeballed where things should be from the picture on the right; it’s at least more colorful than one of the original pictures. There are many websites you can visit to learn more about this set. I’m currently working on a book celebrating the 100th anniversary of Pi Mu Epsilon with my colleague and friend, Stephan Garcia of Pomona College; a rough draft of the chapter involving the Mandelbrot set is here: pme100_BOOK_mandelbrot (comments welcome).